Time is running out for a Gaza solution and the Syria game just changed. This and more in this week’s Israel News Recap. 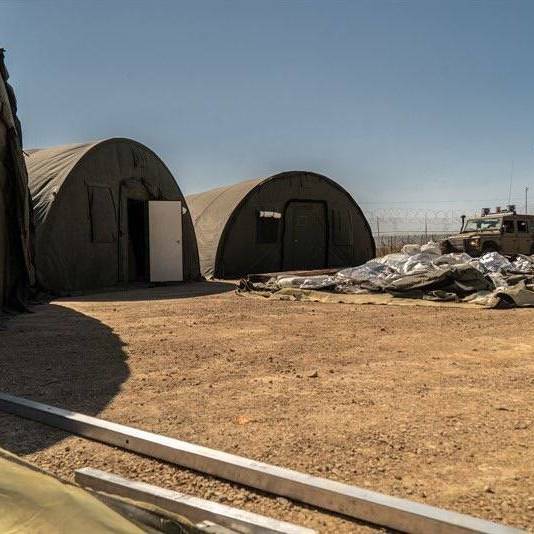 An Israeli field clinic that served Syrians is now being dismantled after the government retook the border lands. (Source: IDF/Twitter). A violent Syrian military campaign to take one of the last major rebel strongholds in southern Syria has succeeded, placing Syrian government troops directly on the Syrian side of the Golan Heights for the first time in years. Between the Syrian forces and the Israeli border troops is a buffer zone from a predetermined agreement that Syria and Israel both abided by pre-civil war. A return to that armistice zone is also reinforced with U.N. peacekeeping forces as before. The U.N. peacekeeping forces first deployed along this border in 1974 in accordance with an agreement after Israel occupation of the Golan Heights in the 1967 war and the conflict of the Yom Kippur War. The UN forces withdrew as the civil war roiled and al-Qaida militants kidnapped 45 U.N. peacekeepers in 2014. They were released two weeks later. What is different this time, is that patrolling alongside the U.N. peacekeepers are Russian military police. The presence of Russia is a sign of the Kremlin’s deepening role in supporting the Syrian government, and it is also reflects Israel’s openness to Russian involvement so close to their border. Israeli Prime Minister Benjamin Netanyahu met with Russian President Vladimir Putin recently to discuss Iran’s role in Syria and the threat to Israel. Just before the joint Russia-U.N. patrols, Russia announced it reached an agreement with Israel to keep Iranian forces 53 miles from the frontier. It appears that both Israel and Russia are keen to avoid another level of conflict between Iran and Israel on top of the Syrian civil war, especially at a time when the government forces are finding success. That success is coming at a heavy humanitarian cost. As the Russian- and Iranian-backed Syrian military advanced toward the border thousands of civilians have fled facing brutal artillery barrages, airstrikes, and worse. Although Israel is not accepting large scale refugee populations, they have been running a modest yet effective humanitarian aid mission - Operation Good Neighbor. The new situation on the other side of the border however, is forcing the dismantling if not total shutdown of that operation. 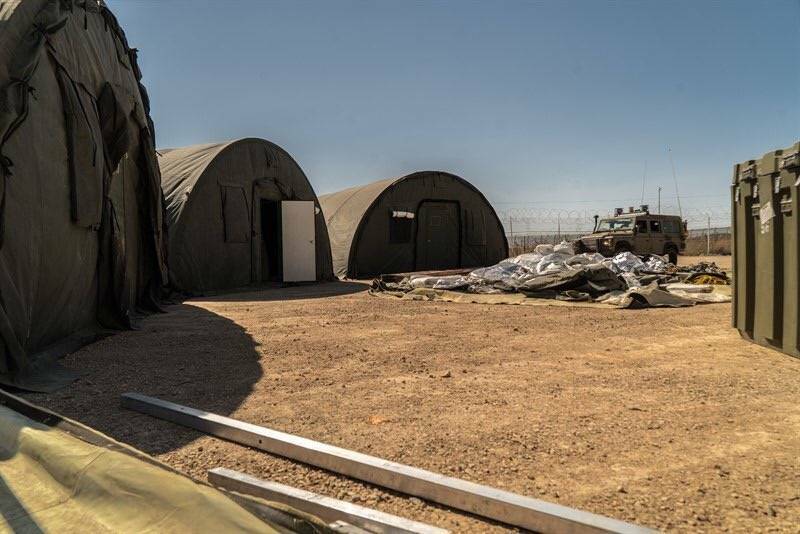 The IDF Twitter spokesperson detailed how the "Mazor Ladach" field clinic in the Golan Heights that served Syrians is now being dismantled. They said the clinic treated approximately 6,800 Syrians since its establishment in 2017. In addition to the humanitarian mission, Israel keeps a sharp eye on that border. They have downed a drone, a Syrian jet, and just this week, annihilated seven “armed terror operatives” who had attempted to cross into Israeli territory late Wednesday, reported to be Islamic State members. The last several weeks in Gaza witness to dozens of rocket barrages, snipers targeting IDF soldiers, wave upon wave of incendiary devices, and the weekly mass protests have led to an imminent reckoning as Israeli and Palestinian officials look toward either open warfare or striking a new deal. Over 140 have died and thousands were wounded at the protests at the fence. Nearly 100 Israeli air and artillery strikes have rattled Hamas infrastructure. Several IDF soldiers have been wounded and one killed. Thousands of acres have been burned. As the situation has escalated to nearly an open war, the Israeli Security Cabinet met seeking a decisive path forward. Meanwhile, reports from Palestinian officials indicate that Egypt is intervening to help Israel reach a deal with Gaza’s Palestinians behind the Palestinian Authority’s back. As of yet, however, nothing is certain. The uncertainty is best reflected in a statement from the prime minister’s office on Sunday after the Security Cabinet meeting that only said the IDF was ready for anything, reports the Jerusalem Post. As each faction’s leaders debated the best path forward, the reality on the ground is unchanged. Some 8,000 protesters, according to the IDF, gathered at different points along the Gaza border fence in the weekly protest ongoing since March. At least three people were wounded from Israeli fire as they worked to disperse the rioters. A small group did manage to get through the fence and hurl fire bombs before retreating. In response, an Israeli tank targeted a Hamas observation post. This protest movement is partly due to the crippling humanitarian and economic conditions in the Gaza strip under Hamas rule since 2007. For years, Israel and Egypt have maintained a blockade of the strip against Hamas military activity. It is highly likely that any deal reached between Israel and Gaza will include some relief of the heavy sanctions on Gaza. Other efforts to get supplies through, such as sending in aid boats end in interceptions by Israel; two in the past week. If aid does get through, it is under Hamas control which does not guarantee intended or proper use. In the U.S., a large group of Congress members have petitioned President Trump to reinstate aid money to the United Nations Relief and Works Agency for Palestine Refugees organization which is reportedly facing major staff cuts without the funding. Without any indication of the status of a deal or lasting cease-fire agreement, Gaza may face another week of violence. Before convening the Security Cabinet, the government did say the focus was on a proposal to ease the blockade in exchange for the Palestinians calming their side of the frontier.